The Lowcountry's ONLY locally made adult freeze pops! We are excited to announce that we are now offering Cindy's Twisted-Sicles. All nine flavors are deliciously infused with local spirits that are sure to delight! 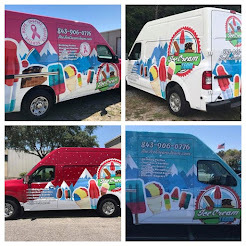 These locally made frozen treats proudly showcase the distinctive beauty & taste of the Lowcountry! All of the pops are uniquely named, each flavor linked to one of the many beautiful landmarks of Charleston, SC. 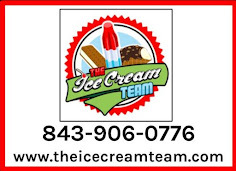 Give us a call to schedule The Ice Cream Team to attend your next get together, event or party! We carry delicious frozen treats for adults & children! Call us at 843-906-0776 or E-mail Us. 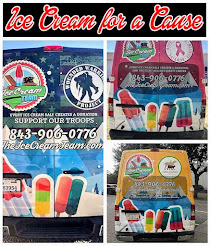 An ice cream truck is an easy and inexpensive way to celebrate a company milestone or retain talent through an employee incentive program. Engage employees, increase productivity and show everyone on your team how valued they are. 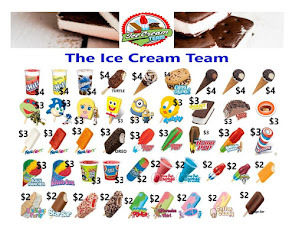 Hire an ice cream truck for your next employee or client appreciation day, team building exercise or simply to reward your staff with delicious treats! Including a catering option in your employee incentive program is a great way to motivate your staff.